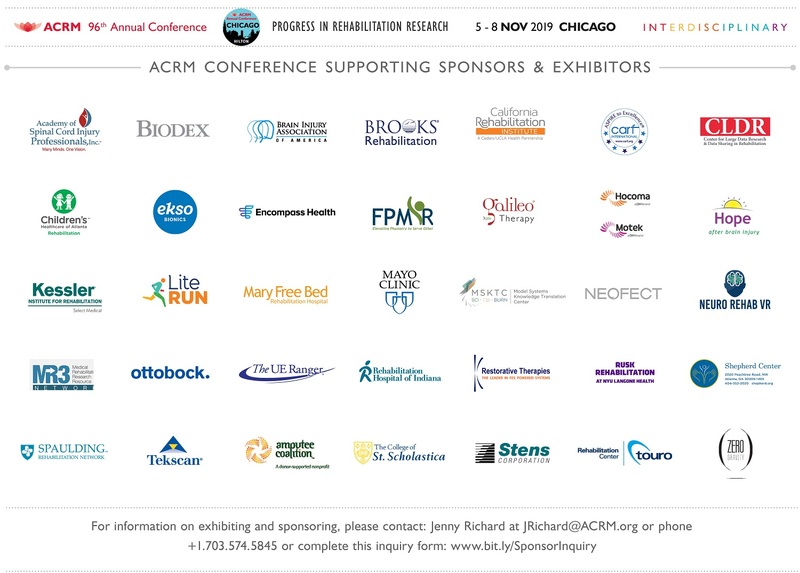 The ACRM 90th Annual Conference, Progress in Rehabilitation Research provides that opportunity by bringing together both researchers and clinicians working in the various fields of rehabilitation medicine, including physiatrists, physical therapists, occupational therapists, speech pathologists, psychologists, rehabilitation nurses, rehabilitation case managers, rehabilitation counselors, disability specialists, and other professionals. Attendees may earn continuing education credits by participating in instructional courses, plenary sessions, symposia, lectures, lunch programs and some special opportunities. Health professionals can obtain up to approximately 30.5 hours of continuing education credit. 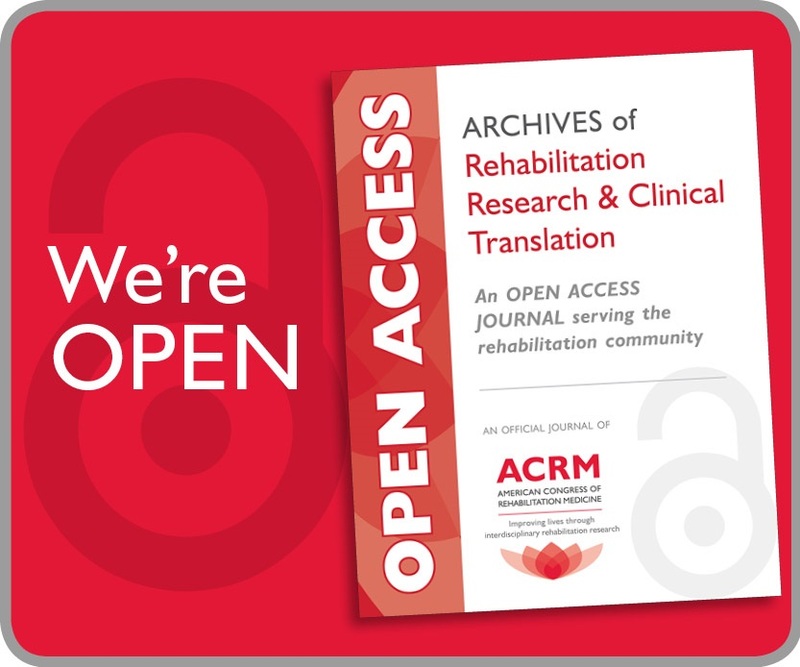 ACRM aims to offer continuing education credits for everyone on the rehabilitation team. A single processing fee ($100) entitles attendees to any/all certificates. Attendees can submit course evaluation forms and download certificates earned right from their own computer, 24/7. Certificates will be awarded only to those participants who attend the conference and complete session evaluations online. Certificates must be claimed before 22 December 2013. The number of continuing education credits/contact hours/units awarded will be based on the number of conference hours attended and the requirements of the specific accrediting organizations. There are two events eligible for Continuing Education credit at this conference. Select the link below for the event you attended. View detailed instructions for how to receive credit. Professional Education Services Group (PESG) is accredited by the Accreditation Council for Continuing Medical Education (ACCME) to provide continuing medical education for physicians. Professional Education Services Group designates this live educational activity for a maximum of 29 AMA PRA Category 1 Credits™. Physicians should claim only the credit commensurate with the extent of their participation in this activity. Professional Education Services Group is accredited as a provider of continuing nursing education by the American Nurses Credentialing Center’s Commission on accreditation. Professional Education Services Group is awarding up to 29 contact hours for the successful completion of this continuing education activity. If attending all days, a total of 3.0 ASHA CEUs may be obtained. 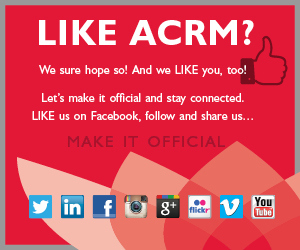 The 90th Annual ACRM Conference has been preapproved by the Certification of Disability Management Specialists Commission to provide continuing education credit to Disability Management Specialists. Maximum clock hours available are 29 clock hours. PSYCHOLOGISTS This Conference is approved for 30.5 hours of continuing education. APA Division 22, Rehabilitation Psychology is approved by the American Psychological Association to sponsor continuing education for psychologists. APA Division 22, Rehabilitation Psychology maintains responsibility for this program and its content. Note: No credit will be given for the Interactive Poster Session. This course is eligible for a total of up to 29 contact hours. For the purpose of recertification, the National Board for Certification in Occupational Therapy (NBCOT) accepts certificates of participation for educational activities certified for AMA PRA Category 1 Credit™ from organizations accredited by the ACCME. Occupational Therapists may receive a maximum of 29 hours for completing this live program. Physical Therapists will be provided a certificate of participation for educational activities certified for AMA PRA Category 1 Credit™. Physical Therapists may receive a maximum of 29 hours for completing this live program. This live activity has been submitted for approval by the Texas Physical Therapy Association to provide continuing education credit. The application requested 29 hours of credit. 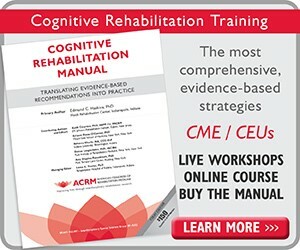 crcc logo counselorThe Commission on Rehabilitation Counselor Certification (CRCC) has pre-approved this live activity for a maximum of 29 clock hours. comm for case managers certification logo 2013This program has been pre-approved by The Commission for Case Manager Certification to provide continuing education credit to CCM® board certified case managers. The course is approved for up to 29 clock hour(s). PESG will also make available a General Participation Certificate to all other attendees completing the program evaluation. As an ACCME accredited provider, it is the policy of PESG to require faculty participating in this activity to disclose any relationship they may have with the commercial supporters of this activity or with any other commercial organizations. The staff of PESG has no financial interest or other relationships to disclose. *All maximum approved hours are subject to change and will be finalized based on the offerings at the live meeting.